The Memory Guy has been getting calls lately asking how to tell that a shortage is developing. My answer is always the same: It’s hard to tell. One indicator is that spot prices which were below contract prices rise above contract prices. This doesn’t happen for all components or densities of DRAM or NAND flash at the same time. Some of these transitions are temporary as well. It takes patience to see if it was a momentary change or if it was the onset of a shortage. DRAM spot prices have generally been below contract prices since August 2014, but this month they raised above contract prices. NAND flash spot prices also fell below contract prices in mid-2014 but today NAND’s spot price remains lower than contract prices. Lead times represent another indicator. If the lead time for a number of components increases then those chips are moving into a shortage. 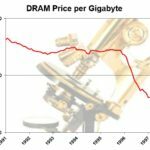 Lead times have recently been rising for both NAND flash and DRAM. A third indication occurs when suppliers start to groom their customer base, telling smaller customers or those with poor credit to take their business elsewhere, or perhaps shifting their less desirable direct customers to their distribution channel. 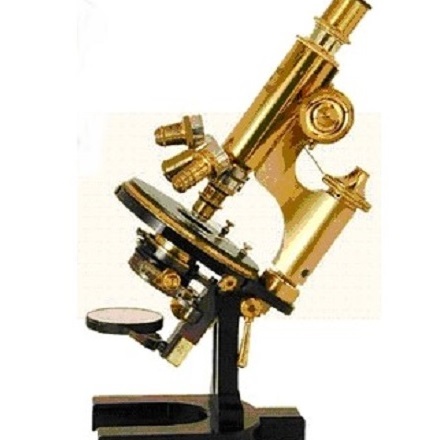 We have heard of certain specific instances of this, but no general trend is yet apparent. For some reason contract prices tend not to rise during a shortage, or at least they don’t rise much. That’s shown in this post’s graphic. 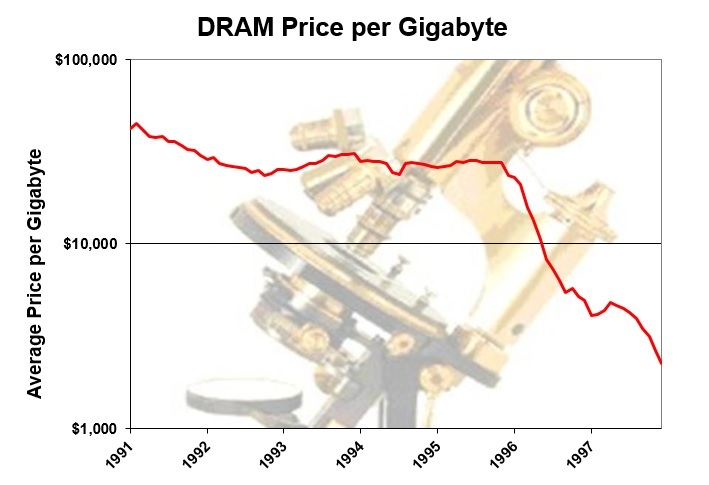 The chart illustrates DRAM average price per gigabyte for the longest shortage in the history of the DRAM market, one that lasted from late 1992 through the end of 1995. The price increases during that time are very small when compared to the decreases on either side of it. This means that contract pricing is not a very good indicator of a shortage, but it does a wonderful job of indicating an oversupply! Unfortunately, the customer response to a shortage is to increase raw materials inventory: If you have trouble getting the DRAM chips that you need, then you work hard to get some extras to keep on hand in case the situation worsens. Since buyers all do this at about the same time, they can rapidly cause a mild shortage to become a serious shortage. This means that the switch from a stable market to a shortage will be relatively sudden and very dramatic. Objective Analysis has been anticipating a NAND flash shortage for the past two years, driven by the difficulties manufacturers face when converting from planar NAND to 3D. This shortage has been slow to materialize, but we still trust that it will impact the market in the not-too-distant future. Our clients have been warned to watch for this. But nobody can tell precisely when this shortage will hit. We must simply be on our guard, and wait, and watch! It might be old news, but since late August we have seen lead time for HP SSD disks (Samsung) increase noticeably. ETA’s are now in the 8 week range, and increasing. The OEM suggests the supply issue will not clear up until Q1 next year. This seems to be specific to Samsung components, used in a variety of HP disks. Thanks for the comment. This gives us something more to watch! As a further update, the situation on Samsung 1.92 and 3.84 TB SSD’s has not improved at all. Some orders have now been pending for over 8 weeks, with still no ETA. I understand HP has removed some of these SKUs form their product lineup. The closest alternative are intel-based SSD disks, but the largest units on sale are 1.6T in size, with an expected bump to 3.2T sometimes in Q1. It’s a real issue for us, as we cannot achieve the storage densities we need with 1RU servers. Switching to 2RU servers or adding racks are not palatable options. More than a shortage, this looks like a drought to me. I’d happily pay 30% more to get disks within 3 weeks, but these cannot be had nor for money nor love. Any idea what’s up with Samsung plants? All production diverted to do chips for Galaxy 7 replacements? Paolo, Thanks for the comment! Market-wide shortages typically begin with critical shortages of just a few products, then mushroom into shortages of all products. I suspect that you are in the unfortunate position of needing one of the products that Samsung’s not producing in high volume. I really doubt that the Galaxy 7 has anything to do with this. In Samsung’s October 7 earnings call (http://irsvc.teletogether.com/sec/webcasting_ir.php) executives stressed that they plan to grow high-capacity SSD shipments. You may want to listen to that and ask your Samsung salesperson to rise to the challenge.